Pfizer announced that the Food and Drug Administration (FDA) has approved Xeljanz XR (tofacitinib citrate) extended-release tablets for once-daily treatment of moderate to severe rheumatoid arthritis (RA) in patients who have had an inadequate response or intolerance to methotrexate (MTX). Xeljanz inhibits Janus kinase (JAK), which are intracellular enzymes that transmit signals arising from cytokine or growth factor-receptor interactions on the cellular membrane. They influence cellular processes of hematopoiesis and immune cell function. Within the signaling pathway, JAKs phosphorylate and activate Signal Transducers and Activators of Transcription (STATs) which modulate intracellular activity including gene expression. Tofacitinib modulates the signaling pathway at the point of JAKs, preventing the phosphorylation and activation of STATs. Xeljanz is already indicated for the treatment of moderately-to-severely active RA in adults who have had an inadequate response or intolerance to methotrexate. It may be used as monotherapy or in combination with methotrexate or other nonbiologic disease-modifying anti-rheumatic drugs (DMARDs). Xeljanz is available as 5mg strength tablets. 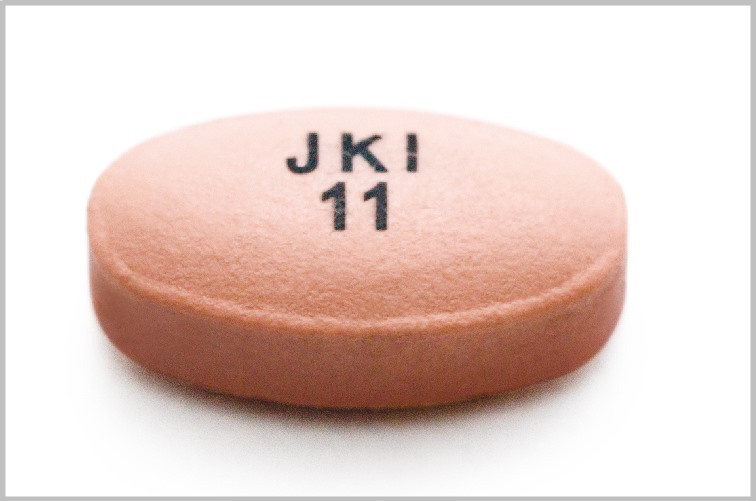 Xeljanz XR will be available as 11mg strength extended-release tablets.